Portugal is known for its rich cuisine and culinary traditions. At Pine Cliffs Resort we are proud to offer an array of food experiences using fresh, local and international ingredients that will enrich the visit of any guest. 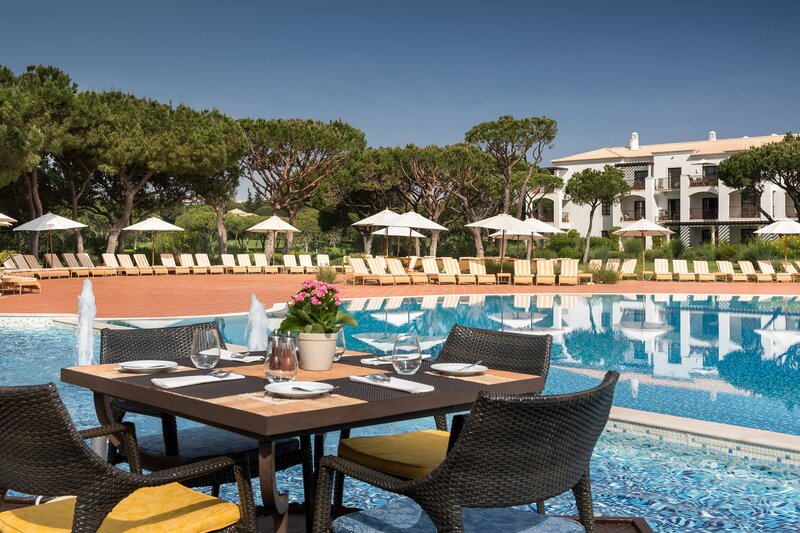 There are a cuisine and ambiance to please every guest: from traditional Algarve’s seafood at Pescador, to a casual family-style buffet at O’Grill, to light and healthy snacks at Zest, our 9 dining options and 2 bars are invitations to discover the best of Portuguese and International flavors. With a new concept and relaxed atmosphere, the Piri Piri Steak House offers a unique selection of prime meat produce for all four corners of the globe, grilled to perfection. Unique in the region and a must visit during your stay in the Algarve. Located on the ground floor of Pine Cliffs Ocean Suites, Zest welcomes guests next to an indoor garden or outside in Lemon Square. Body and mind are nourished by refreshing, organic, largely vegetarian dishes. Located near to the first tee at Pine Cliffs Golf Course, Clubhouse is a welcoming casual venue after a day on the course-the ideal spot for snacks, sandwiches, steaks, and a drink with your fellow golfers. Under the cool shade of broad umbrellas, Corda Café features an all-day menu of light meals and refreshing beverages, the perfect respite from a day relaxing poolside in the sunshine. 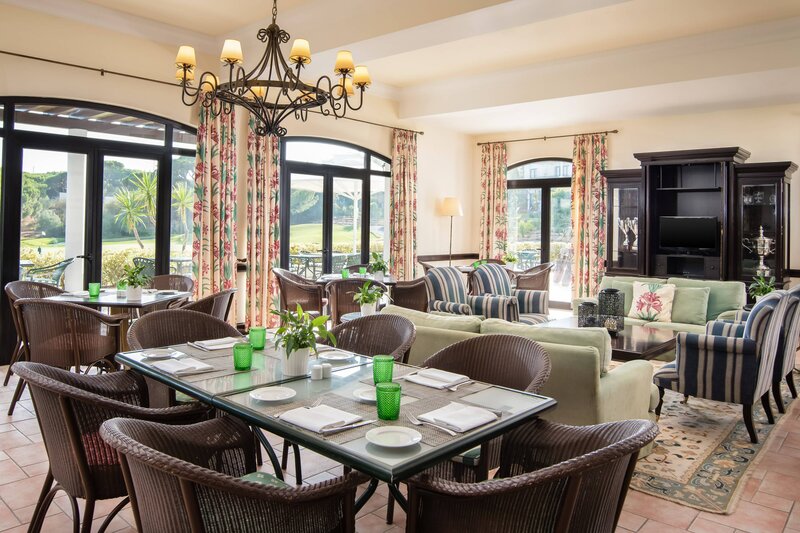 With a traditional Portuguese colonial design opening onto a delightful courtyard garden, the Jardim Colonial buffet restaurant showcases a selection of regional and international cuisine, in a relaxed and family friendly setting. 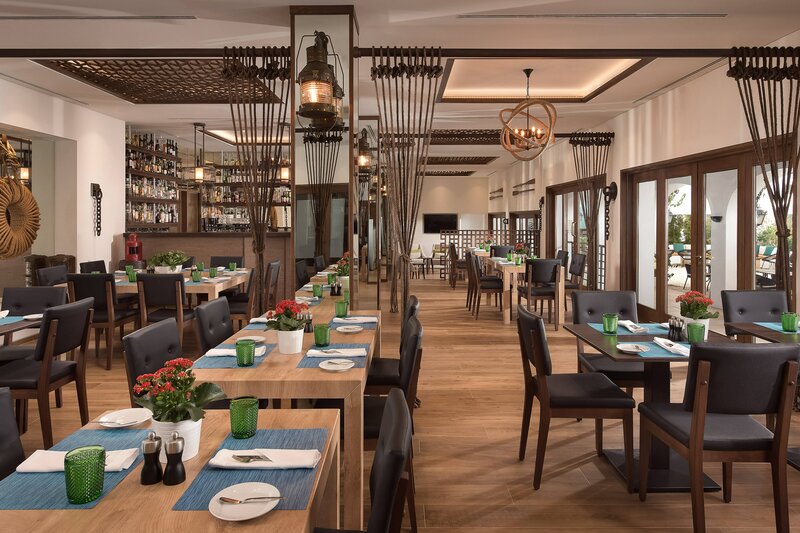 Overlooking the pristine white sands of Praia da Falésia Beach with views of the Atlantic on the horizon, our Beach Club serves a variety of light snacks, salads, and seafood dishes. A wonderful venue for a refreshing drink or delightful ice cream. 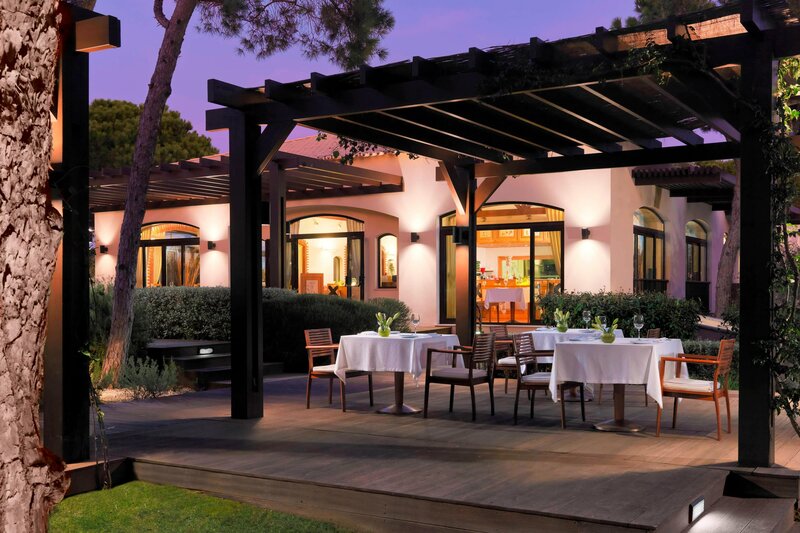 Enjoy an enchanting Mediterranean experience featuring gorgeous panoramic views of the golf course. 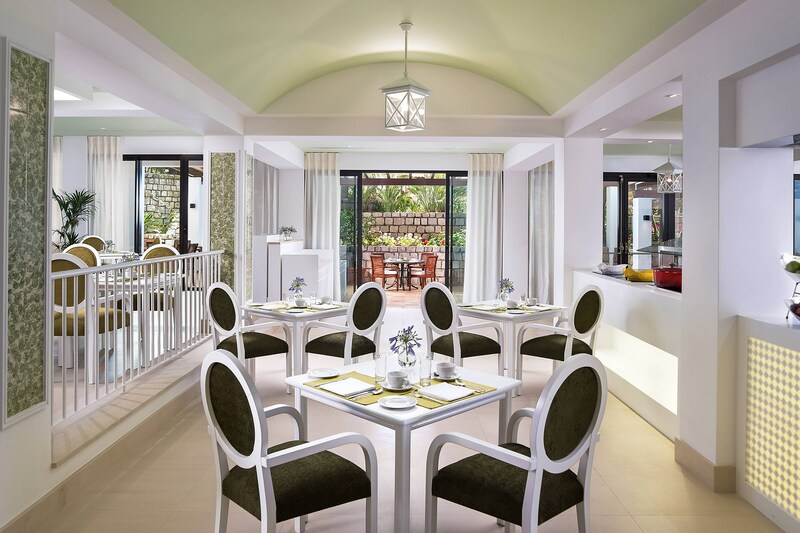 With an inviting ambience and a menu deriving from local produce, the O Grill is a perfect dining option for families. One of the finest Japanese restaurants in the Algarve with a menu of traditional Japanese specialties with a touch of mediterranean flavors.